Welcome to Apartment List’s February 2016 Miami Rent Report. With rents on the up-and-up, we took a look at Florida cities to see how they fare, and Miami is the most expensive city in the state and one of the most expensive cities across the nation. Unsurprisingly, Miami outstrips all other Floridian cities as the most expensive city for renters statewide, with a median two-bedroom rent of $2,410 and a median one-bedroom rent of $1,810. 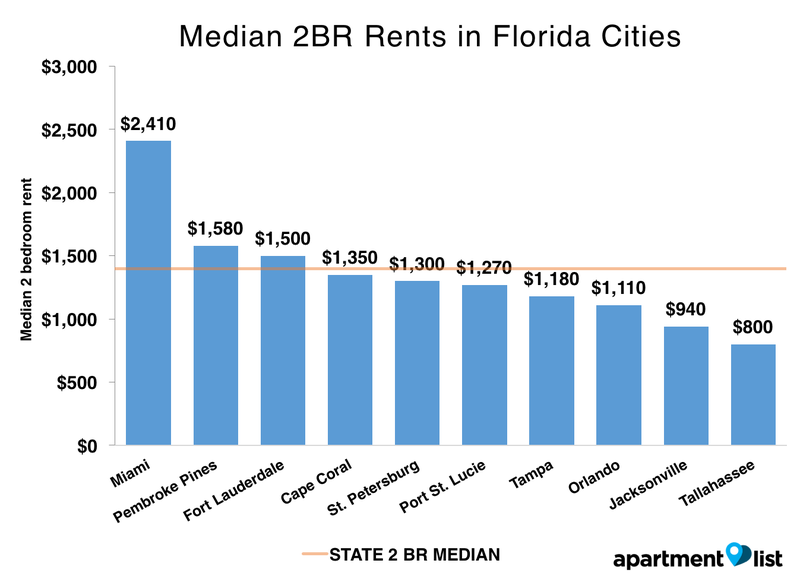 These rent rates compare poorly against cities like Tampa and Orlando, who boast median 2-bedroom rates of $1,180 and $1,110, respectively. Miami experienced a 3.9 percent rent growth, making it the fifth fastest-growing rental city in the past year. This is a 0.6 percent faster rent growth rate than that of the nation (at 3.3 percent), placing Miami fairly on par with the rest of the country. 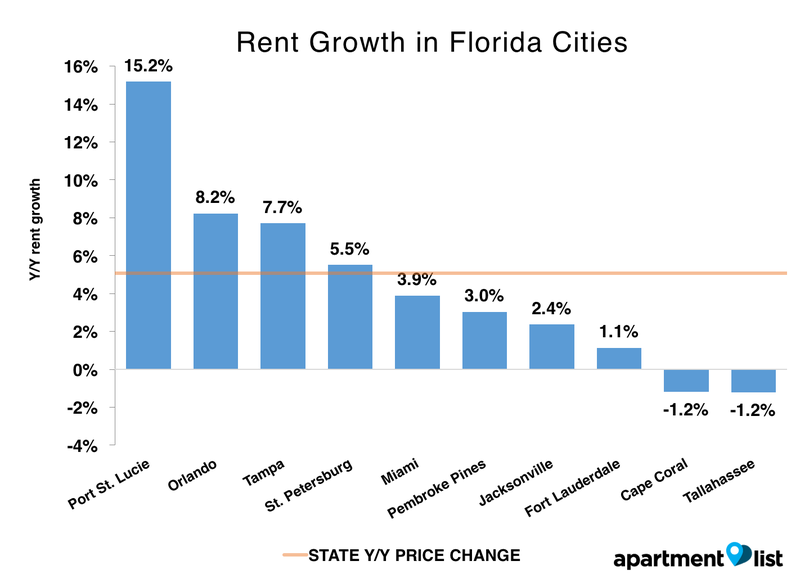 This rent growth rate also ranks Miami very well against Orlando and Tampa, who experienced year-over-year rent growth rates of 8.2 percent and 7.7 percent, respectively.